Our founder and principal consultant, Kate Colbert, is a highly regarded marketing strategist with 20 years of communications leadership, inside and outside organizations. She's an accomplished marketer and professional writer who has spent her career telling brand stories that help individuals and corporations communicate their way to profitable growth. 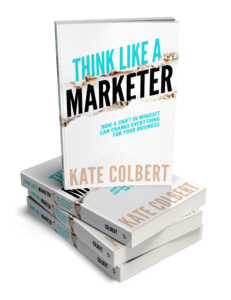 Her acclaimed new book, Think Like a Marketer: How a Shift in Mindset Can Change Everything for Your Business, was ranked in the top 1% of all business marketing books on Amazon and was heralded at Amazon's #11 "hot new release" in its category. Unlike most garden-variety marketers, Kate didn’t study public relations or marketing when she was in college. She built her expertise as a storyteller with a graduate education in comparative literature and composition, and a successful career in publishing and writing. Then she took that storytelling talent and passion, and layered upon it a rigorous graduate education in business management, plus more than a decade of business marketing and brand management. Today, she’s perhaps Chicagoland’s only strategic storyteller. Kate has led marketing initiatives for brands big and small, domestic and international. She has crafted the marketing messages for some of the country’s best-known business and academic brands, has earned accolades and awards in the higher education and medical/healthcare industries, and is frequently credited with igniting significant revenue growth at client companies. Kate has ghostwritten books and publications for renowned professionals, and her work has appeared everywhere from peer-reviewed medical journals and top book retailers to Forbes and CNN Money. In 2015, when Silver Tree Communications was in its 13th year, Kate launched a Book Division at Silver Tree to serve the needs of individual and corporate authors with a full spectrum of publishing services. CEOs and marketing leaders count on Kate to help them see their communications opportunities in a new light. She is regarded as an "on-demand chief marketing officer," stepping in to collaborate on the most important marketing initiatives that brands are facing today. 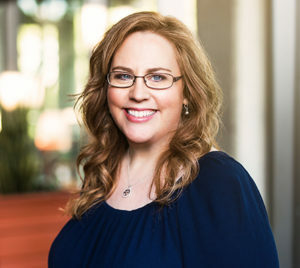 Whether you're an in-house marketing leader or a business owner, Kate is the marketing consultant who has walked in your shoes and the only one who cares about your business results as much as you do. Connect with Kate today to get a conversation started.